If you were planning on taking your girlfriend to dinner and a movie for Valentine's Day, well, scrap your crappy plans and do something cool: fly to Italy for just $800, roundtrip, for the both of you. Or just grab a buddy and meet gorgeous Italian women -- but it's still just $400 each, for a limited time. 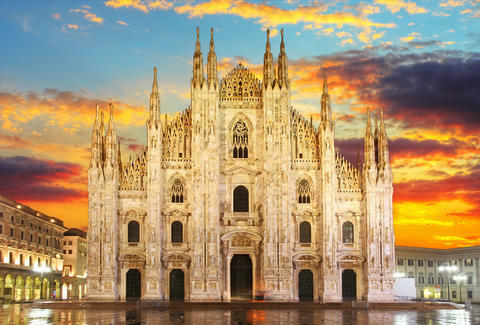 Emirates is offering a deal on round-trip, non-stop flights for two from New York's JFK airport to Milan's Malpensa Airport for as little as $404 each. Of course, the big catch: you have to book in a pair. Sorry, no solo flights with this promotion. There are a bunch of other details, too. To qualify for the offer -- which expires at 23:59 on Jan. 22, 2015 -- you’ll need to fly anytime between Jan. 25. and May 10, provided your trip lasts at least three days, or until the first Sunday after your departure date. You can stay for a maximum of four months, but you have to be back by May 31. And if you're traveling on the weekend, there's a $25 fee. 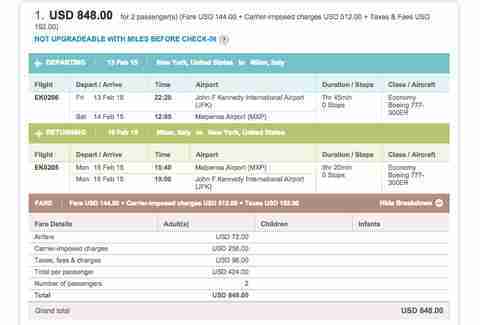 United Airlines is running similar deal for two or more passengers flying from Newark Liberty International Airport to Milan anytime from Jan. 26 through May 10. Though availability is considerably limited and the deal often includes layovers, well, you're paying $400 to fly to Europe. That's basically unheard of. 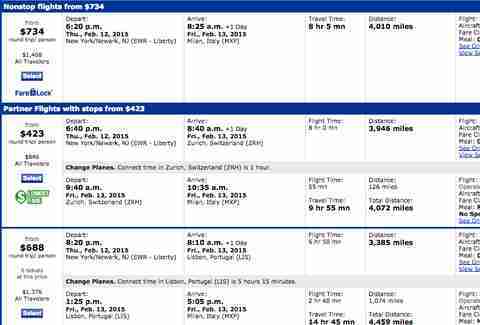 To see how prices match up, we compared trips for two passengers over Valentine's Day weekend at each airline. With United, you get a flight with a stop in Switzerland for $423. And with Emirates, you get a non-stop flight there and back for just a dollar more! So what are you waiting for? Search for flights through Emirates and United now. And remember...you've only got until Thursday to pull the trigger!